RIP John Hurt | it's yaytime! John Hurt was one of my favorite actors, and in my childhood view, the best storyteller ever. 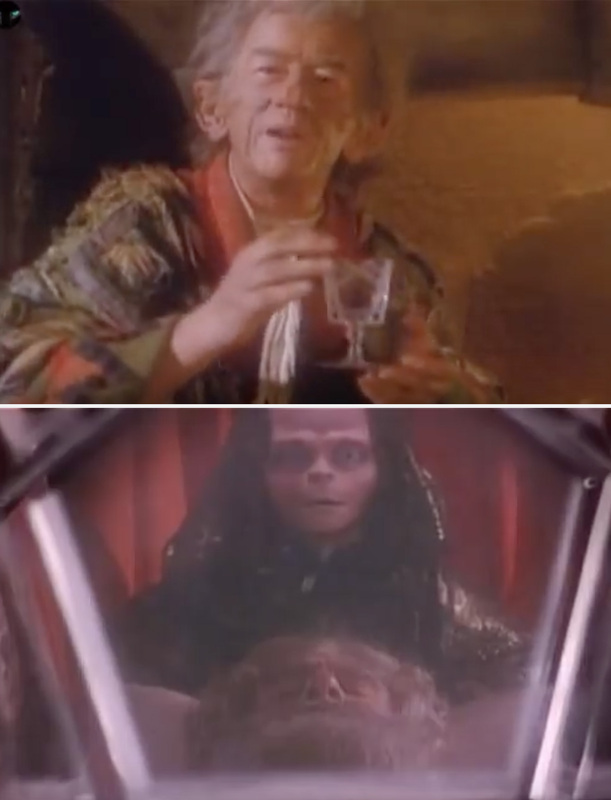 “The Soldier and Death” directed by Jim Henson is probably still the coolest thing I’ve ever seen on television. But I love every episode. I could watch them every day. And a huge part of the appeal is John Hurts performance as The Storyteller. His narration is so engaging and comforting like a warm fire. This entry was posted in Blog Entries and tagged jim henson, John Hurt, The Storyteller. Bookmark the permalink. He’s a rare boy, my friend the storyteller, he’s somewhere about his business. Fully agree about that episode being the greatest thing ever filmed. The genius of Henson, the magic of old tales, the lyrical script by Minghella and the unequaled performances of John Hurt and the cast. Hey, Ron. Great to hear from a fellow fan! Rewatching this today knowing that Hurt had passed away got me pretty choked up! And yes, a huge part of the reachability of The Storyteller series is how lyrical those scripts are! Pitch perfect.